This compact fantasy novel is brimming over with adventures. Strong characters - specifically the main one, Tabetha, a strong and conflicted heroine, dominate the powerful scenes full of tension and complexity. It’s Christmas time in Crystal Lane where the glassblowers have their workshops. For Tabetha the mudlark, the time of year is irrelevant. Disguised as Ted, she is orphaned, broken and lost, and fighting to survive. Her livelihood stems from anything hidden and scavenged in the knee-deep mud of the Londra, a land of elves, mermaids and trolls. Certainly not a place for a girl of fifteen. It is at the river that the stranger shows her an etching of a glass object and promises a rich reward for any piece of that glass. ‘Don’t trust anyone’ were her mother’s dying words. But for Ted, it is hard living that way. She doesn’t know what makes her trust the one-handed tavern girl, Ofelia, who shows her kindness. 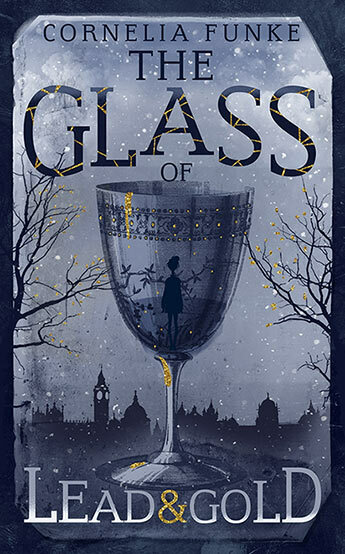 Ted shares her secret when she actually finds a piece of the magic glass which if sold to the ruthless Bartholomew Jakes, would secure her future. This trust leads her into danger and catastrophe. She is miraculously saved by the troll woman Borga at the last moment. But is Ofelia a traitor or a genuine friend. Should Ted have adhered to her mother’s dying words of wisdom? The one-armed girl continues to show kindness to Ted and remains steadfast in her protective vigilance. The reforming of the shard of glass in her possession could be the mudlark’s saving grace. But will she lose in its stead, something far more valuable than money? A mysterious and beguiling story of trust and mistrust, friendship and taking chances even when things seem one way, and turn out to be another. The delicate black and white illustrations sit lightly on the page and complement the text. Set in a parallel universe to the London of the late 1800s when poverty was rife, when children were used and abused by their clever elders, and when learning not to trust and perfecting the art of scavenging, was the only way to survive.